More things I did on my own. Like the city party / fireworks down at the Binnenalster (not shown). 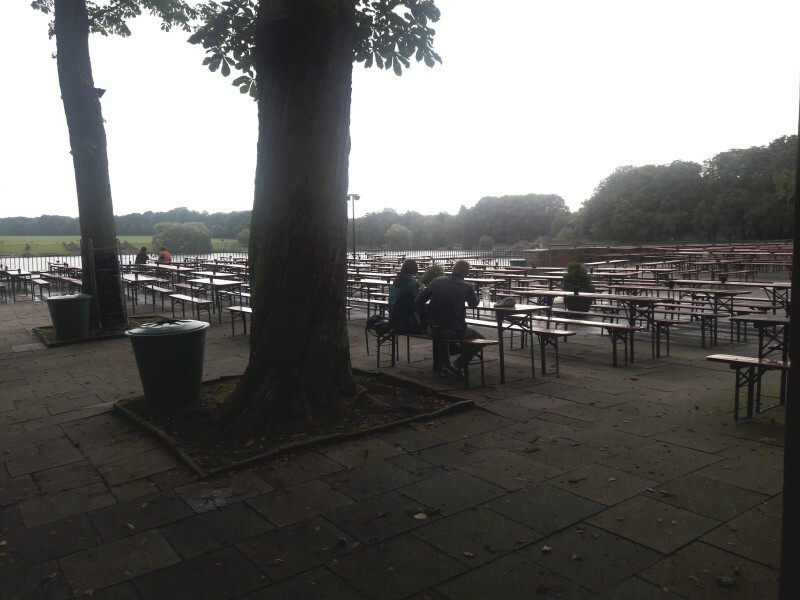 Like Schuhmachers Biergarten in the Stadtpark. Outdoors (pictured right). It drizzled. I didn't care.